Master three clever techniques with Laura Bradley: faux watercolour, emboss resisting and bleach effects. 1 Create an 11.5cm x 14.5cm side-folding white blank. Trim a rectangle of white cardstock slightly smaller than the card front and make a background following our step-by-step opposite. Attach the background panel to the centre of the blank with double-sided tape. 2 Stamp polar bears and a fish bucket onto white cardstock using Memento ink and colour in with alcohol markers. 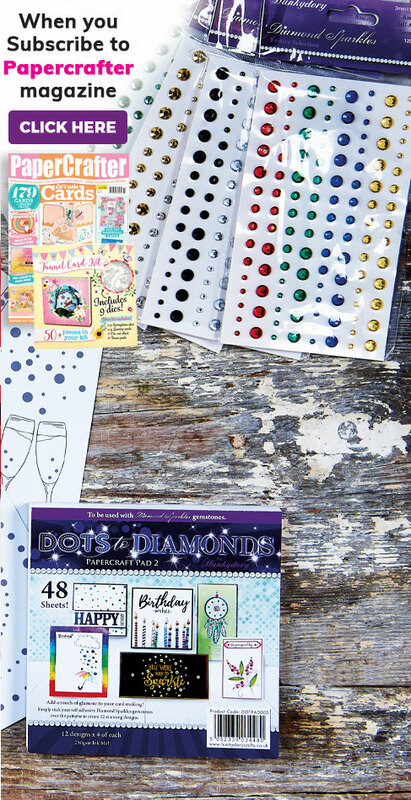 Cut the images using the coordinating dies and add to the card with wet glue. 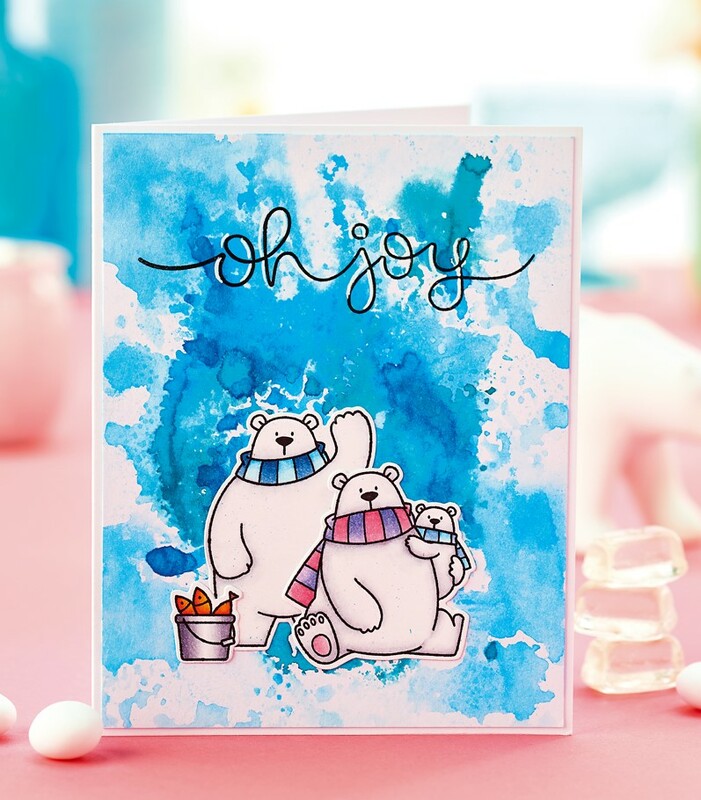 Stamp an ‘Oh joy’ sentiment with VersaFine ink, then apply a shadow with a white gel pen. 1 Create a 10cm x 12.5cm top-folding white blank, then cut a rectangle of white cardstock measuring slightly less. Blend Salty Ocean Distress Oxide ink all over the smaller piece with a blending tool, then add Blueprint Sketch ink around the edges. 2 Spritz the background with water and press a clean paper towel over the top. Lift it up to reveal a bleached effect that mimics snow. 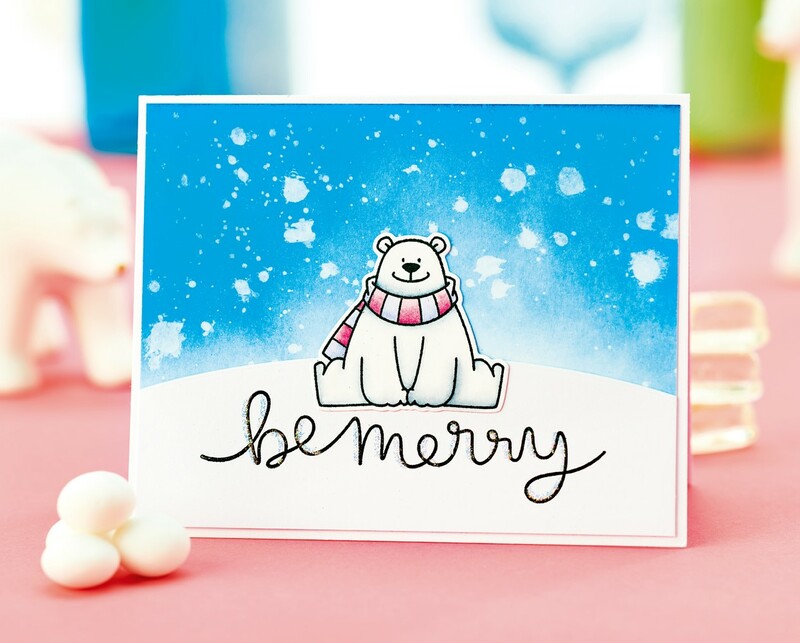 Dry off with a heat tool, then add the background to the centre of the greeting with double-sided tape. 3 Cut a curved section from white cardstock using a landscape border die. Adhere to the bottom of the scene. 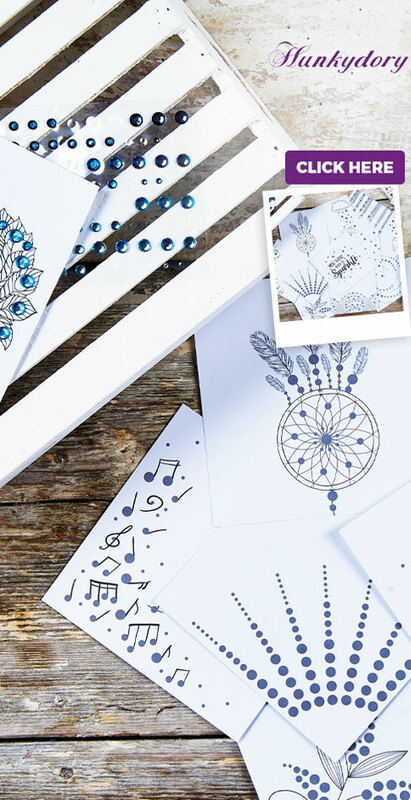 Stamp ‘Be merry’ with VersaFine black ink and add a shadow with a Quickie glue pen, before sprinkling with glitter. Tap off the excess. Stamp a polar bear onto white cardstock and colour in. Trim using the coordinating die, then add to the card.